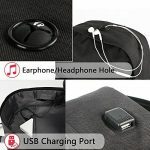 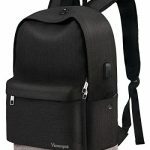 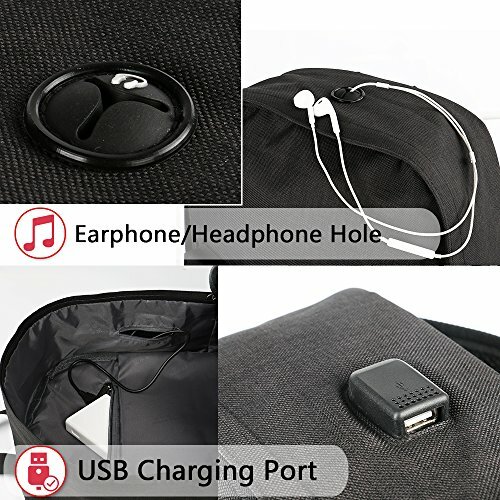 External USB Charging Port Design: The casual bookbag with USB charging port can provide a convenient environment to recharge your electronic devices when you need to free your hands such as walking or driving your bike.Please noted that this backpack doesn’t power itself, usb charging port only offers an easy access to charge. 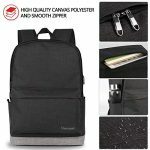 High Quality Meterial: The school daypack made of water-resistant and durable canvas meterial, Load-bearing but lightweight. 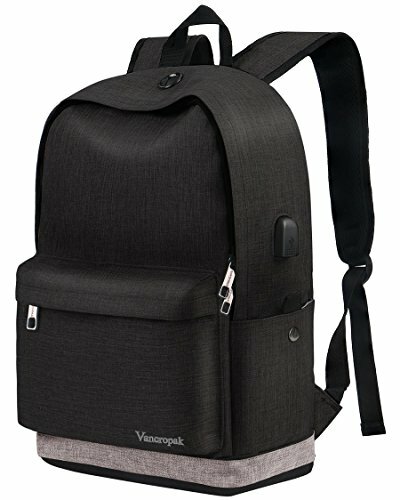 Adjustable wide shoulder straps with high permeability meterial can provide the greatest comfort to you. 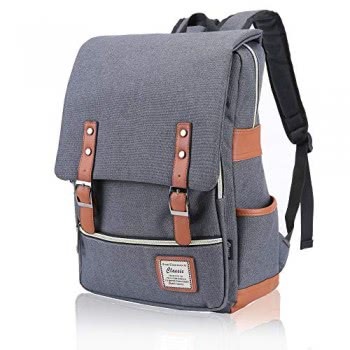 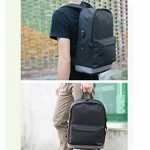 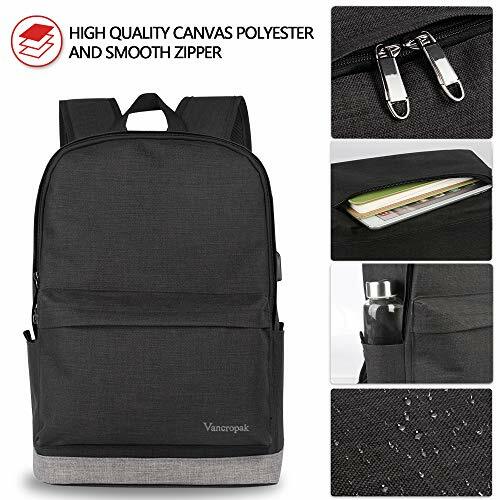 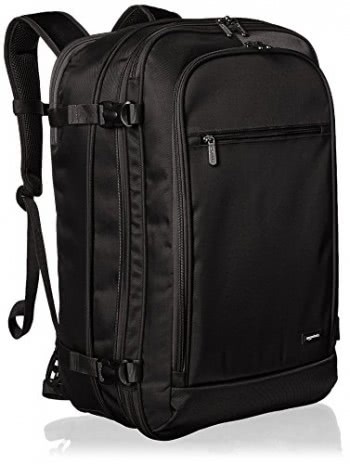 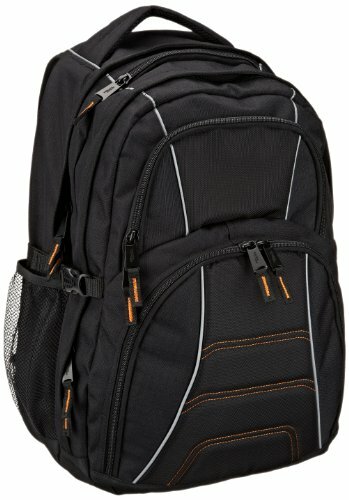 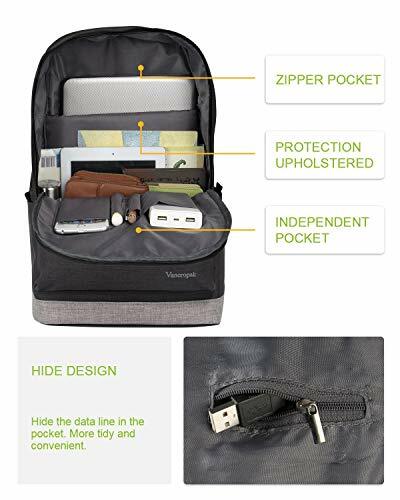 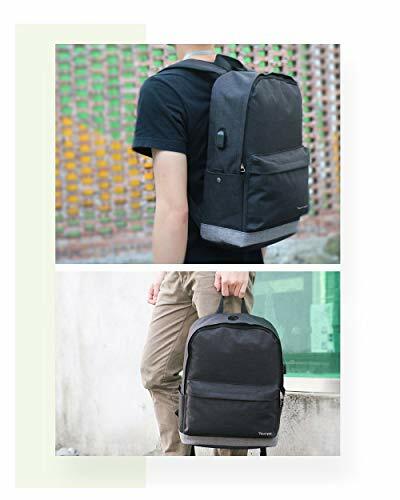 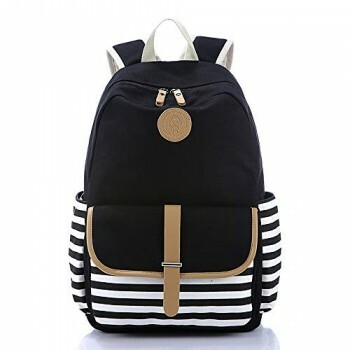 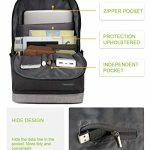 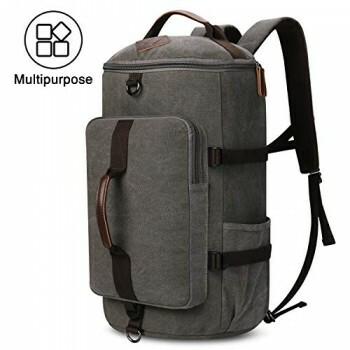 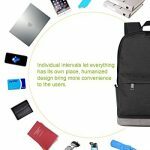 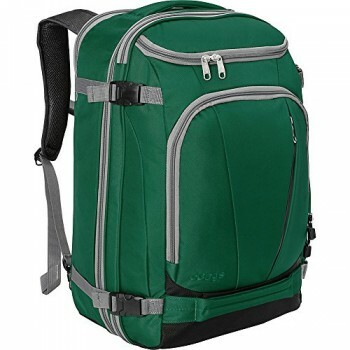 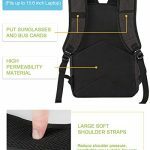 Multifunctional Organizer：This student backpack with several pockets, which includes one main zipper pocket, one front zipped pocket, one strap pocket, one inner zipper pocket, two sides pockets, four open inner pockets and one laptop compartment pocket for your Laptop. 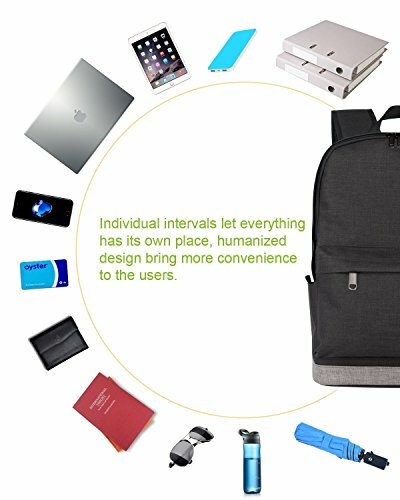 Simplified Design: The basic style backpack is perfect for daily use, hiking, travel, work camping, shopping. 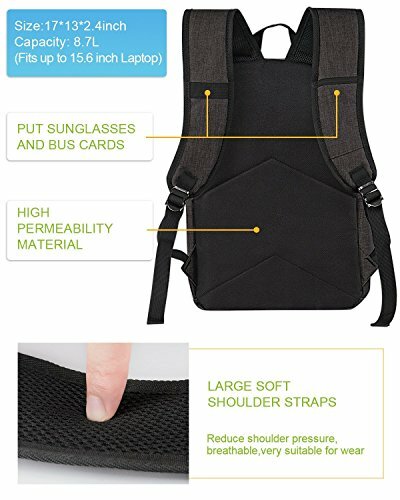 Beside, there is a small sleeve on the right shoulder strap where can be used to hand your sunglasses. 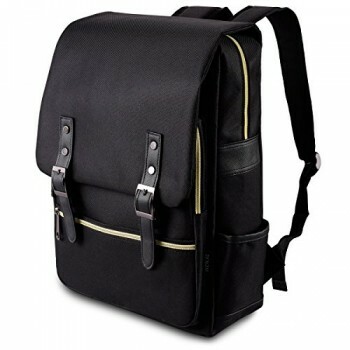 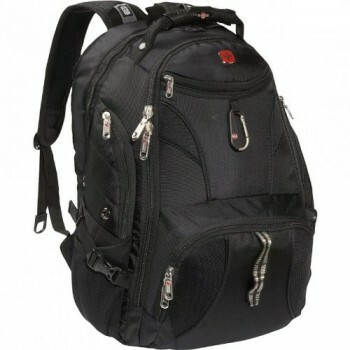 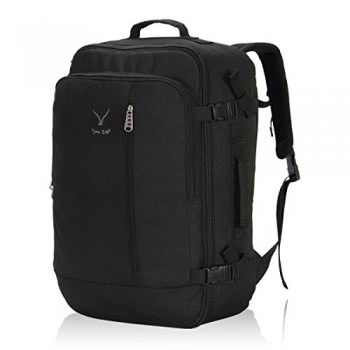 Dimension: External dimensions: 17 x 13 x 5.5 inch(L×W×H); Capacity: 8.6L (fits up to 15.6 inch Laptop).